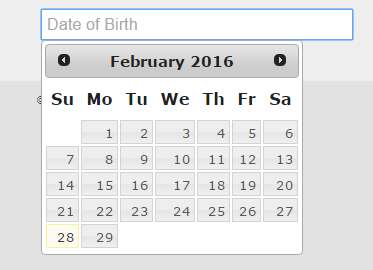 How to implement DatePicker using jquery? How to implement DatePicker using jquery?, someone asked me to explain? In this article I am going to implement Datepicker using Jquery. Whilecreating form , we mostly require date field and needs more easy to select dateby clicking on it . Here when user focus on input field by clicking on it.